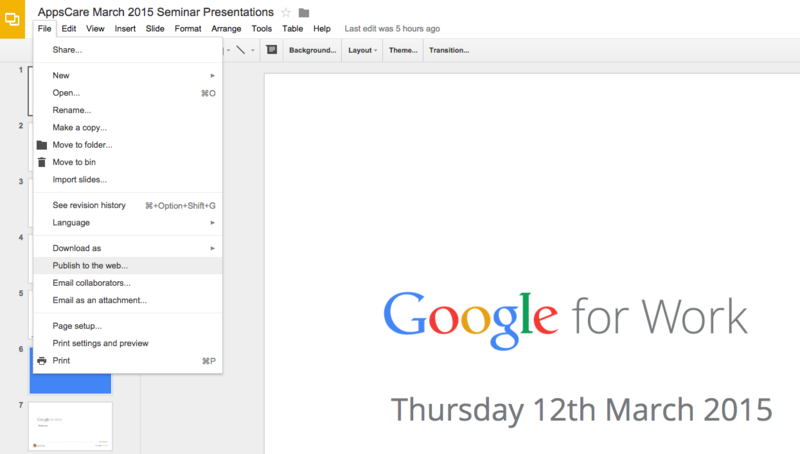 How to embed Google Slides into a webpage: Using Google Slides as your presentation platform allows you to share your slides on the internet – embedded into a webpage – without the need for further software or applications. A pop out window will appear. There are two tabs here, Link and Embed, you want to click on Embed to see the correct details you need, as per the image below. Here, you can edit various options, such as the size of the embedded Google Slides window, and whether it should autostart and repeat when finished. 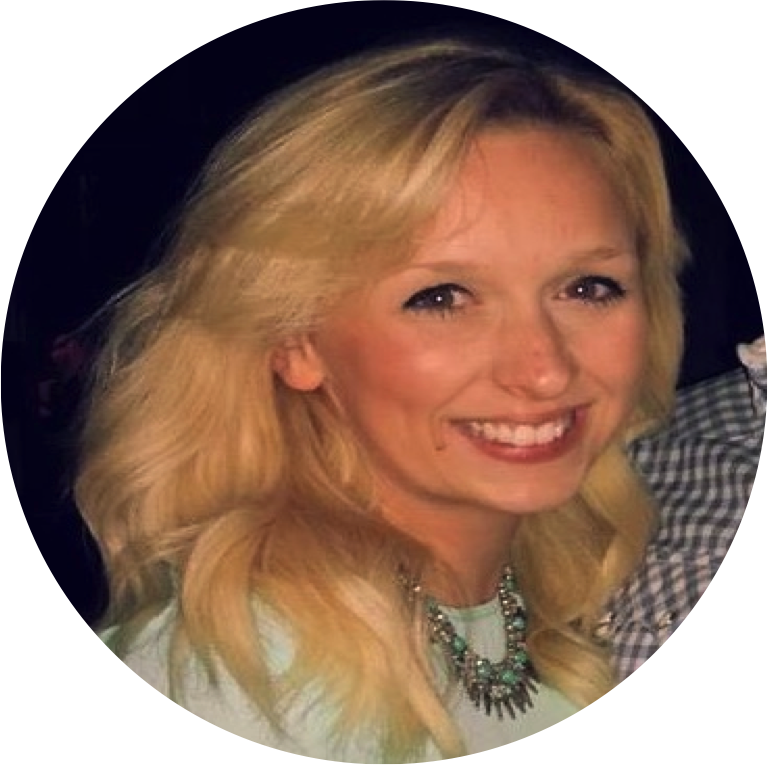 Once you’re happy, click Publish. 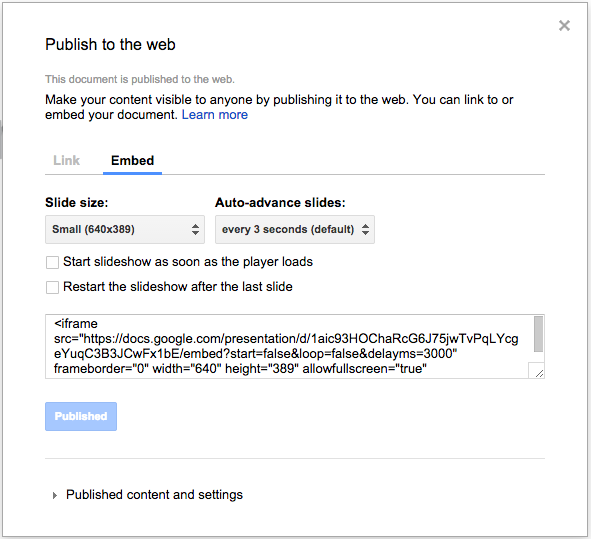 Google Slides will now generate some HTML code for you to add to your website as an iframe. You will need to get your website administrator to add this code to the selected page on your website. 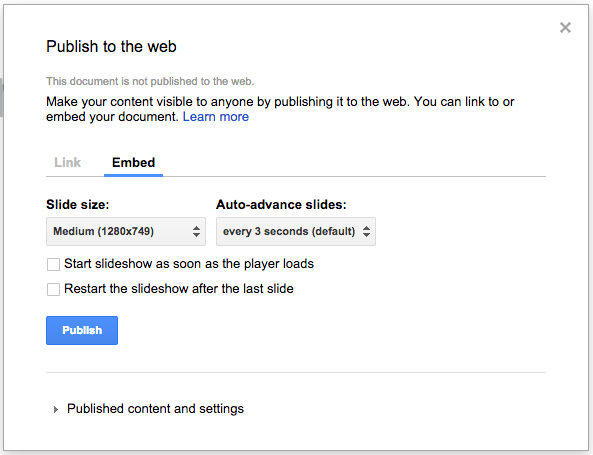 Once embedded and published, if you visit your webpage, your Google Slides should appear as per the image below. This allows anyone with access to the webpage the ability to view a slideshow of your slide deck. 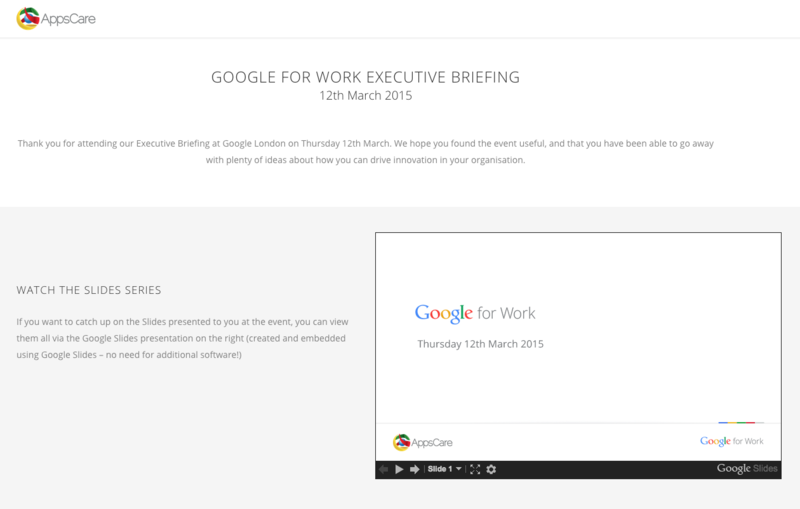 Below, you can see a live example of embedded Google Slides we’ve created as a follow up to an event we’re running today. For more useful tips like this, stay tuned with our weekly Google Apps Tips blog. Thank you for helping me. This works completely!